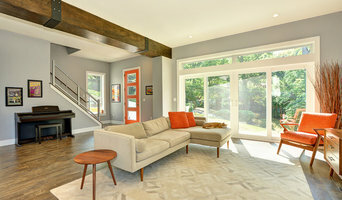 Best Of Houzz Award Winner for the past 5 years now, Prime 1 Builders is a full-service general contractor that is owned by Dan Meade, a carpenter by trade. He started Prime 1 Builders in 2004 and has 30 years experience in construction. Dan has built this company on the skill and expertise he brings to the table and he surrounds himself with a staff that exhibits those same traits. We offer DESIGN BUILD SERVICES/NEW HOME CONSTRUCTION/ADDITION & RENOVATIONS of all sizes. Many of our projects are from the ground up, adding or expanding peoples existing space. We perform remodeling projects of all types including kitchens and baths, finished basements to include "mancaves", home theater rooms, game rooms. We also offer excavation and site work services. We also have a commercial division which includes dental offices/interior buildouts/light commercial/hospitality. Prime 1 Builders is becoming one of Pittsburgh's noteworthy construction companies. Now, with not only local design awards we have one two national design awards as well. Dan is continually enriching educating himself/Dan Meade is CAPS certified (Certified Aging in Place Specialist), CGP(Certified Green Professional) and currently working on his CGR(Certified Graduate Remodeler). He is the Chairman of the Remodelers Council for the Builders Association of Metropolitan Pittsburgh. 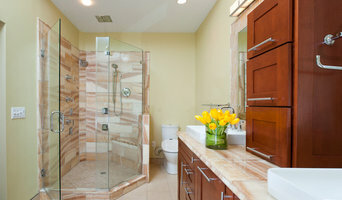 Design Build Firm Specializing in Additions and Whole House Remodeling. 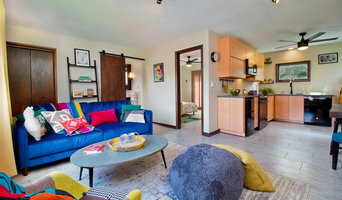 EcoCraft homes is a building technology company focused on sustainable development through the seamless integration of modular building, renewable energy, mechanical system, and material science technologies. Our mission is to build smarter, greener homes that deliver superior quality, exceptional value, and advanced performance. Our homes are extremely energy efficient and unlike traditional homes, EcoCraft homes are built indoor and can be completed in as little as 90 days. Utilizing emerging technologies including passive and active solar, geothermal, integrated low energy mechanicals systems, dynamic energy modeling, and high performance insulations systems our homes can even achieve net zero consumption. Green Friends Development Company L.L.C. Green Friends Development Company of Greater Pittsburgh and Southwest PA is a multi-faceted design/consulting company pursuing sustainable construction and development projects. Green Friends will assist you in accomplishing your project goals while promoting Smart Growth. We ask our clients, “What shade of green are you?” In other words, how sustainable or “green” do you wish your project to be? Design-build firms take on the responsibilities of architects, contractors and construction companies, all under one roof. These full-service firms focus on a streamlined design-build process — from the initial design to the estimating phase to physical construction — in the hope of creating an efficient experience for both the client and the company. Because the entire project is happening within one company, South Bethlehem design-build firms are able to overlap the design and construction phases of the project, which often speeds up the project significantly. In addition, these firms work to minimize risks for the project owner through single-point responsibility contracts. However, depending on the firm, you may still want to contact an interior designer or architect to help create the exact look you want. Here are some related professionals and vendors to complement the work of design-build firms: Interior Designers & Decorators, Landscape Architects & Landscape Designers, Architects & Building Designers, Photographers. Before deciding on a residential design-and-build company in South Bethlehem, PA, think about what you want from your new home. Do you want a large kitchen for entertaining? Do you need several bedrooms for children and guests? Do you want a finished basement for extra space or storage? 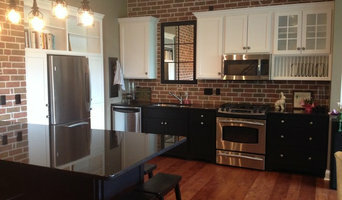 Look for South Bethlehem design-builders that specialize in the areas you're looking for. Budget is obviously a determining factor in the outcome of your project. To make sure you stay within your means, consider making a must-have list and a wish list. Gauge where the estimates are falling to determine which design-build contract can realistically strike the balance between the two. 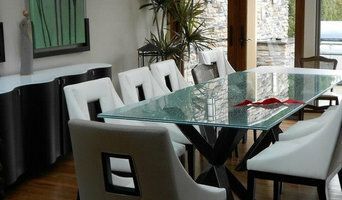 Find a South Bethlehem design-build company on Houzz. Narrow your search in the Professionals section of the website to design-build firms in South Bethlehem, PA. You may also look through South Bethlehem, PA photos to find a pool you like, then contact the design-build firm that created it.